We have a strict booking policy, please call ahead to book on 0208 795 1055 or use the book online button in the menu above and someone will reply shortly. *Subject to a radius - please enquire when booking. Welcome to George Fraser Limited, London's leading independent Mercedes specialist. We aim to provide first-class Mercedes servicing. We pride ourselves on our personal service, from our highly-trained technicians and Mercedes-Benz equipment to our personal customer care and after-service support. George Fraser Limited is committed to maintaining our high level of customer service. There's a reason why we're know as London's best independent Mercedes specialist. At George Fraser Limited, not only do we pride ourselves on our reputation as London's leading independent Mercedes specialist, we can save customers up to 50% on a standard Mercedes service costs. All our technicians are Mercedes-Benz Certified and each have over ten years' experience working on Mercedes-Benz vehicles. We offer all services including standard Mercedes ASSYST A Services and Mercedes ASSYST Plus Services and as London's leading independent Mercedes specialist, we have direct access to the Mercedes Digital Service Book system to keep your service history up to date. We carry out MOT Testing and are able to carry out Diagnostics and print Diagnostic Reports using our two Mercedes Benz Star machines running the latest software leased from Mercedes Benz. Naturally, all serviced Mercedes are valeted, leaving your car as good as new. Rest assured, we use approved Mercedes service equipment and Mercedes genuine parts purchased directly from Mercedes-Benz and all of our lubricants are Mercedes-Benz recommended, meaning your Mercedes warranty is always maintained. Having your Mercedes-Benz vehicle regularly serviced by us is the best way to care for your vehicle. George Fraser's reputation precedes him and it's his over 40 years of experience, diagnosing and working with Mercedes-Benz vehicles, that has earned George Fraser Ltd the reputation of being London's leading independent Mercedes garage. Not only do we exclusively hire highly-skilled, highly-trained technicians, we only ever use the very latest Mercedes-Benz systems and equipment to keep your car in optimum condition. 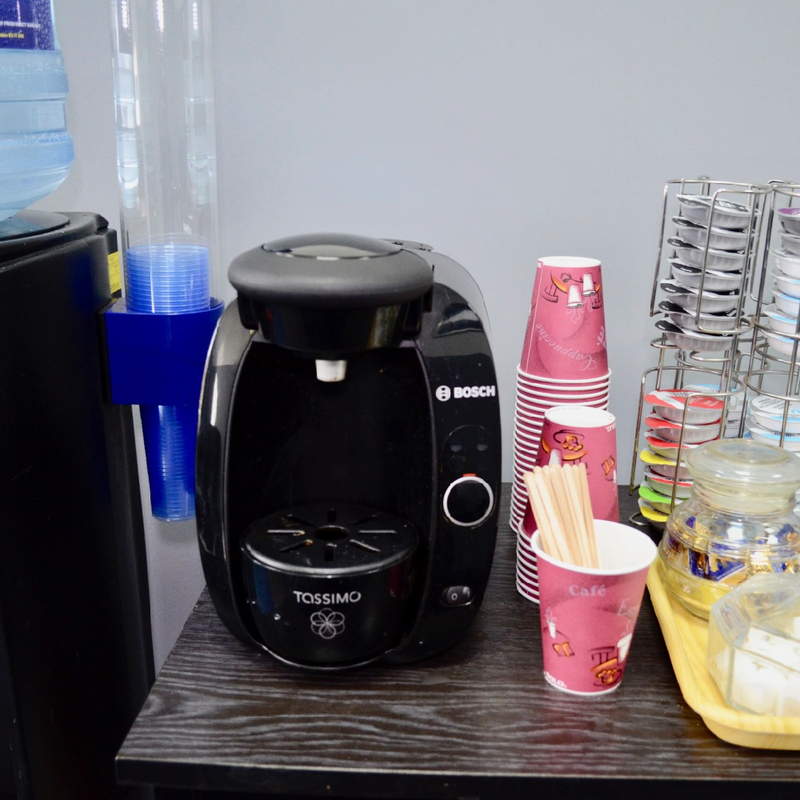 We also have a comfortable waiting room area complete with complimentary hot drinks. We think you'll agree, the benefits of bringing your Mercedes-Benz to us speak for themselves!